Go treat yo’self with Buy 2 Take 2! Get (1) Regular 10” Manhattan Meatlovers Pizza and 1 Full Chicken Alfredo Pasta and get FREE 1 Regular 10” Gilroy Garlic Pizza and 1 Full Chicken Alfredo Pasta for P690! SAVE P726! 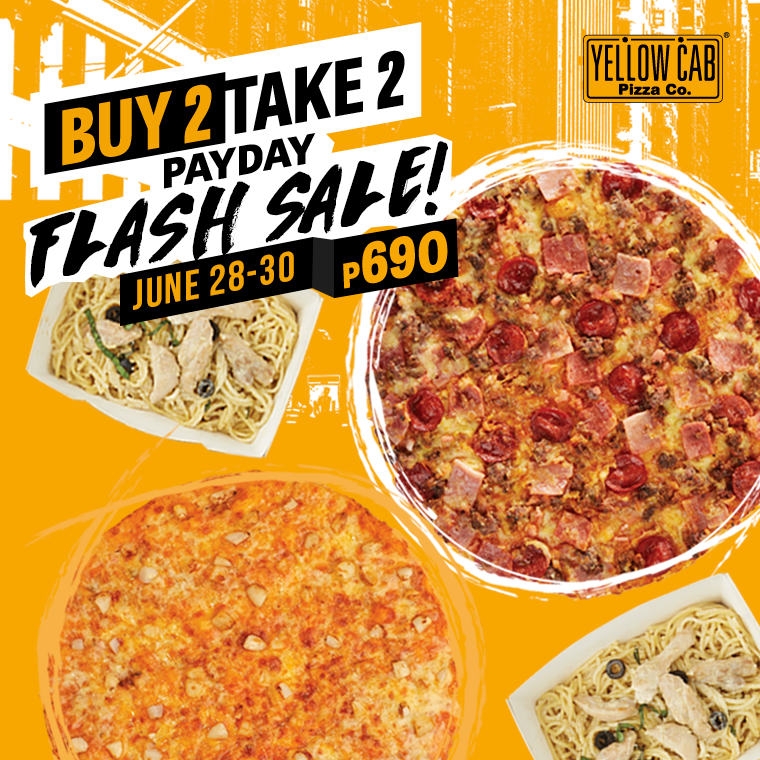 Promo runs from June 28-30 and is available for Dine-In, Take-Out, and Voice Call Delivery. When you're ready for the next hustle, call 789-9999. Keep hustlin!